The workshop was addressed to undergraduate students, PhD and postdoctoral researchers, and devoted to different topics on Materials for Biomedical Applications, such as tissue engineering, therapy, drug delivery, biosensors, materials cycle and ecotoxicology, imaging and bioengineered scaffolds. Apart from the lectures, the students had also the opportunity to participate in hands-on activities with the equipment used at ICMAB for research. Some of these activities included synthesis of gold nanoparticles and supercritical CO2 nanovesicles, study of the magnetic properties, hydrogen peroxide biosensor based on Horseradish Peroxidase, atomic force microscopy and scanning electron microscopy techniques, or electroactive materials as implants. Sessions on technology transfer and simulation were also offered. Overall, the students had a nice time at ICMAB, learnt a lot and enjoyed the activities, including the afternoon devoted to Science Dating, in which networking activities were proposed. The summer school counted with the presence of speakers from the Institute of Bioengineering of Catalonia -IBEC (Oscar Castaño), the University of Aberdeen (Ann Rajnicek), Institute of Photonic Sciences-ICFO (Vanesa Sanz), Institute of Materials Science of Madrid-ICMM (Puerto Morales), Freie Universität Berlin (Marcelo Calderón), Institute of Advanced Chemistry of Catalonia -IQAC (Pilar Marco), Autonomous University of Madrid-UAM (Encarnación Lorenzo), University of Lisboa (Fernanda Marujo), Vall d'Hebron Institute of Oncology-VHIO (Beatriz Morancho), Barcelona Science Park-PCB (Angel Menargues), CIC biomaGUNE (Jordi Llop), Polytechnic University of Catalonia-UPC (Ma Pau Ginebra) and Institute of Polymer Science and Technology-ICTP (Julio San Román). The organizing committee was formed by researchers from the strategic Research Line 5 (RL5) on "Multifunctional nanostructured nanomaterials: smart nanomedicine": Anna Laromaine, Arántzazu González, Rosario Núñez, José Vidal-Gancedo and Gerard Tobías. 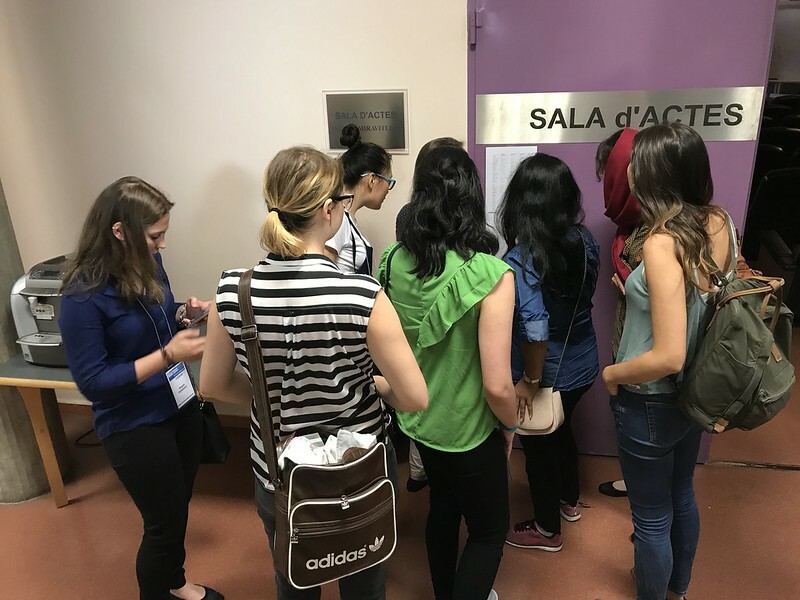 Other ICMAB staff collaborated on the organization, communication and development of the summer school, which was evaluated very positively by the participants. MATBIO2017 has been online! Please follow #matbio2017 for photographs and news about this event on Facebook, Twitter and Instagram. Next year ICMAB will organize an International Summer School in another area of research. Be aware for further news!